& gas business, Petroleos Mexicanos (PEMEX) will be able to provide certification for operators responsible for supervising processes. CORYS will also be training the Mexican team in charge of developing the simulators. RSI (which merged with CORYS in 2017) has had a long-standing collaboration with Pemex, delivering 25 simulators dedicated to refining over the past twenty-five years. Nevertheless, the agreement signed in mid-2017 is exceptional in terms of its amount ($4 million); and in terms of its philosophy. 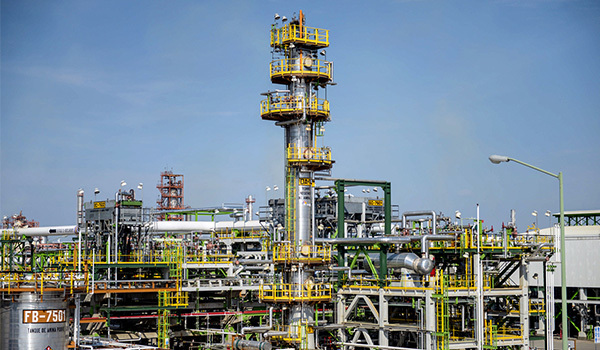 The eight training simulators are tailored to four polyethylene units, one cryogenic air separation unit, a gas separation unit, an ethylene oxide unit, and an ethylene unit. CORYS is familiar with all of these procedures, having already dealt with them on many occasions during the course of other contracts worldwide. The eight simulators are due to be delivered no later than August 2020. In practice, they will be developed one after the other, with deliveries taking place every two to three months. And as has already been mentioned, the work will be carried out by some twenty Mexican developers. be providing them with training and guidance in how to use Indiss Plus® throughout the duration of each project, for everything ranging from initial specifications through to development methods, best practice, acceptance, and so on.